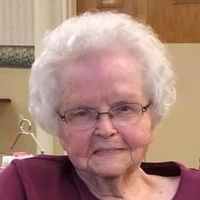 Betty Katherine (Williams) Hickling, 88, of Carmi, Illinois, died Saturday, December 29, 2018, at Wabash Christian Retirement Center in Carmi. She was born February 15, 1930, in Brooksville, Florida, the daughter of Carl A. and Lavada (Ramsey) Williams. She was married to Arthur C. Hickling, Jr., on August 7, 1953, and he preceded her in death on November 23, 2002. Betty was a homemaker, and worked for several years at The National Bank and alongside her husband on the family farm. She moved to White County, Illinois, from Tampa, Florida in 1956. She was an active and faithful member at different times of both Stewart Street Baptist Church and First Baptist Church in Carmi where she served as a youth leader, Sunday School teacher, and participated in various church singing groups. Survivors include sons Michael Ray (Mike) Hickling of Carmi, Robert Charles (Bob) Hickling and his wife, Kristen Anne (Kronmiller) Hickling of Charlotte, North Carolina; sisters Joann Wilson of Clewiston, Florida, and Elizabeth Miller of Iron Station, North Carolina; grandchildren John Andrew (Andy) and Ashley Hickling, Katherine Anne (Katie) Hickling, and Wesley Charles Hickling, all of Charlotte, North Carolina, as well as several nieces and nephews. She is preceded in death by her parents; and brother Hiram Williams. Visitation is 5-7 pm, Wednesday, January 2, 2018, at Cook Funeral Chapel in Carmi. Funeral is 10 am, Thursday, January 3, 2018, at Cook Funeral Chapel in Carmi. Burial is in Kuykendall Cemetery near Carmi. In lieu of flowers, please consider a contribution to Shriner’s Hospitals for Children. Memorials: Shriner’s Hospitals for Children.